Newly promoted Richmond Power & Light General Manager Randall Baker didn’t waste any time tackling an issue facing Indiana cities with municipal power utilities. In Saturday’s Palladium-Item he addressed Senate Bill 309, currently making its way through the Indiana General Assembly, which prevents municipally owned utilities from seeking to provide service to areas that are annexed into its existing service area. There are 569 cities and towns in Indiana and only 72 are served by a municipal electric utility. The large special interests, rural electrics, and investor owned utilities already have the other 497 Indiana cities and towns. Being a municipal electric utility, we only ask to be able to grow our system, when the city limits grow, which requires property owner-input throughout the entire process…Preventing municipal electric utilities from growing and competing is not in the best interest of the property owners or consumers; it will only benefit the rural electric coop’s and the investor owned utilities. Indeed, it is difficult to see how SB309 represents the interests of Indiana residents, property-owners or rate-payers. On the other hand, it clearly represents the interests of larger commercial utility companies that probably don’t like competing with municipal power companies. When I received a postcard in the mail recently from the Indiana Municipal Power Agency – which seems to be waging a strong campaign against SB309 – I did enough research to find that there’s not any obvious taxpayer- or resident-initiated effort in support of this bill. 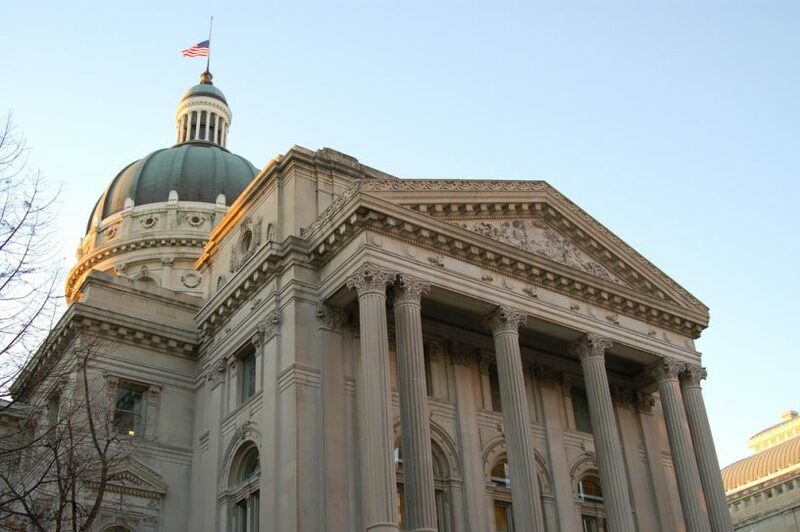 It appears one Democrat and seven Republican Indiana representatives who put this bill together heard from some other influential players in Indiana’s energy landscape that this new restriction would be good – hmm, I wonder who that could have been? Maybe in some cases there are good reasons to be careful about giving control of a certain service area to a municipally owned utility. But surely we want ability to decide those based on the facts of each individual situation, instead of implementing a broad, state-wide block to such changes? There’s still time to let the Indiana General Assembly know how you want them to proceed with this proposed change: find your legislator, drop them a note. And thanks to Mr. Baker for diving right in to the substance of conversations that affect our area.